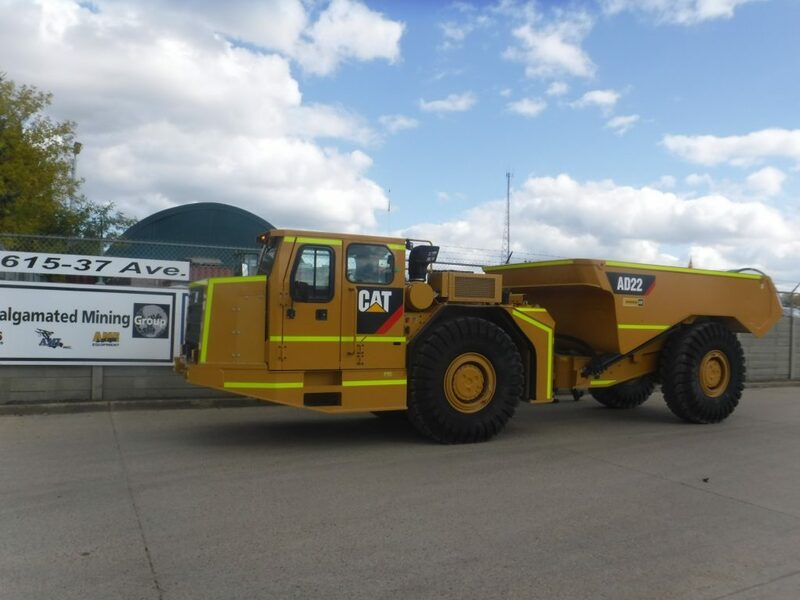 AD22 Underground Mining Truck LHD from Amalgamated Mining, Inc. | Amalgamated Mining & Tunnelling Inc. The Cat AD22 underground mining truck represents a new size class for Caterpillar with industry leading capacity for its size. This truck is powerful, quick and nimble. It is extremely productive in compact mining conditions on less than ideal haul roads. It can also be uniquely configured for your mine with different cab and body options, including an ejector body. The Cat C11 engine with ACERT technology offers the perfect balance between power, robust design and economy. Intelligent and robust electronics integrate all power and drive train components for overall optimum performance. The AD22 electrical system is well designed around the corrosive environment typical of underground mining.